Potions, magic and fairytale giggles. Mixing up spells: it’s a dream job! What do you want to be when you grow up? 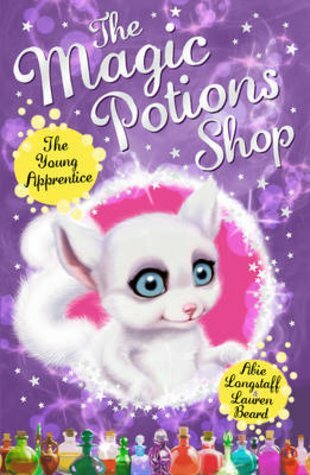 How about a Potions Master – helping giants, elves and sprites? In the Magic Potions Shop in the Kingdom of Arthwen, lucky Tibben is training up for that role. Sounds great – except when his spells backfire. BANG! KABOOM! SPLAT! (Oops.) The potions shop is hidden in a tree, and it stocks all kinds of cool goodies. Glitter dust for fairies. Handsome Cream for fairytale princes. Shrinking potion. Exploding powder. Or even flying potion. Take your pick!